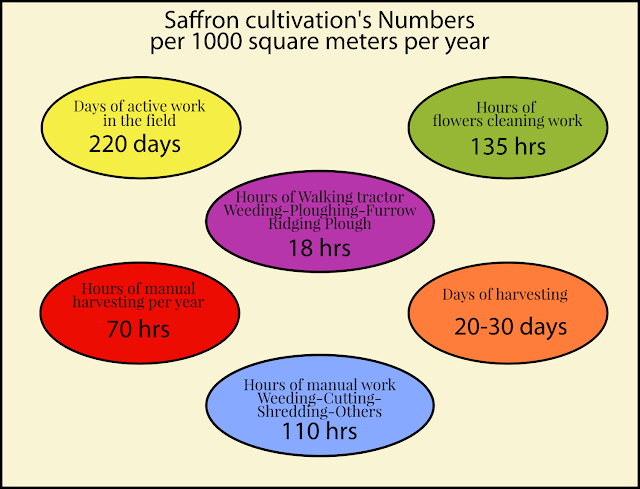 Saffron cultivation: production and working hours data. 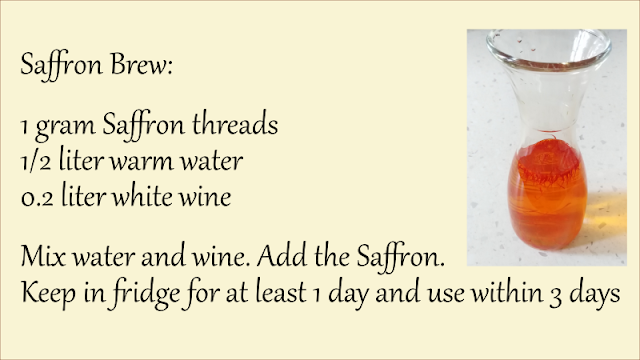 Many people ask me how much challenging is to manage an Organic Saffron farm. Either customers, chef, people interested in starting a new cutivation. So today I want to spread some basic data about engagement needed to manage this type of cultivation. We've collected 1 year data about Saffron production in order to describe exactly an entire cultivation cycle. 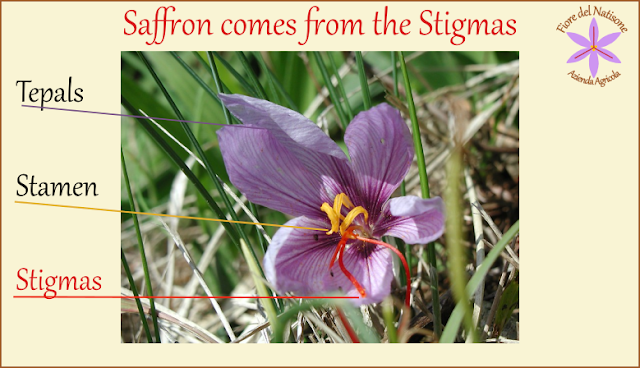 These data have the main purpose to make you understand commitment and energy level to carry on Saffron production, in order to better help you to take decisions about starting up. These are our data. Related on how we lead our activities. 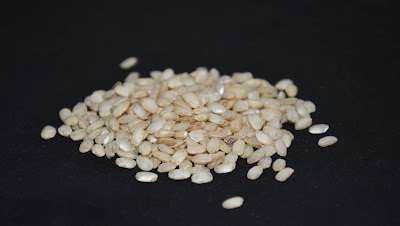 Based on our quality level (Very high) production and on our Organic Agriculture approach. Don't take anything for granted. Your cultivation conditions are not as mine. So many factors may be different, starting from your plants to your environment, it's almost impossible to list all. Experiment. Try and see what happens. Use data as a compass and find you own data. I've not taken into account soil preparation works.